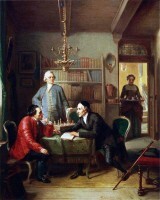 Home » Balaustion by Robert Browning. Balaustion’s adventure by Robert Browning. 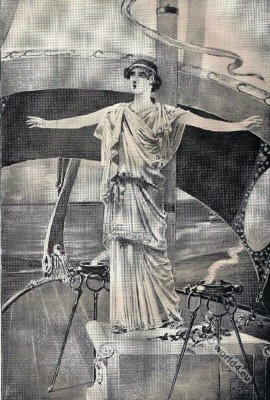 F. H. Lungren, Artist. And when the bars flagged somewhat, dash and dip. I sprang upon the altar by the mast. O’ sons of Greeks! go, set your country free. Robert Browning 1812 – 1889, was an English poet and dramatist. The Sultan Saladin and his Sister Sittah. 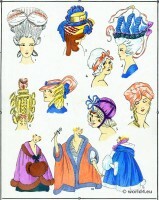 Coiffes, capuchons. Les modes sous Louis XVI. 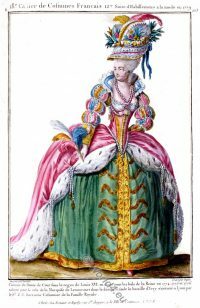 La mode du rococo. 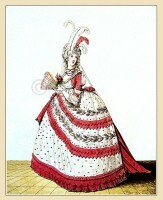 England Court Dress July 1795. Regency costume era. This entry was posted in 19th Century, England, Genre, Romantic Era and tagged Character sketches on 6/24/15 by world4.